Ridomil Gold MZ, available from Syngenta , is a systemic and protective fungicide that can be used to control Pink Rot in potatoes. Pink Rot (Phytophthora erythroseptica) is a potentially devastating soil borne disease. It is estimated that Pink Rot has caused losses of more than 50% on some Australian properties, mainly in Victoria, Tasmania and South Australia with potential annual losses estimated to reach as high as $1.6 million for the Australia potato industry. Pink Rot can survive for many years and is highly mobile in water and will easily spread throughout potato growing paddocks. Infections can occur in the soil any time up to harvest, with invasions through the lenticels (natural pore opening in the tuber), eyes or the tuber stolons. The disease then progresses uniformly throughout the tuber. After harvest, infected tubers show dark lines that border the infected and healthy portion of the potato when cut and exposed to the air turn pink in colour after approximately 30 minutes and black after 1 hour. The potato will have distinctive black lenticels on the outside of the tuber. 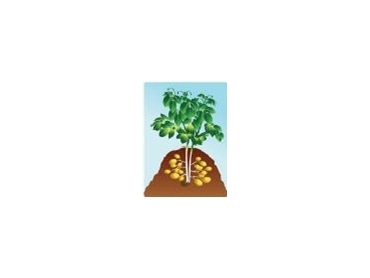 Applying a Ridomil Gold 25G treatment at planting followed by consecutive foliar applications of Ridomil Gold MZ at four and six weeks after planting offers potato growers the required protection against Pink Rot infections.